I go to a lot of events where I simply walk around and stuff my face. The event space is usually so crowded that I don't really get a chance to speak to the vendors or learn about what I'm shoving into my mouth. What I loved about The Big Chocolate Show is that it was the opposite of this. 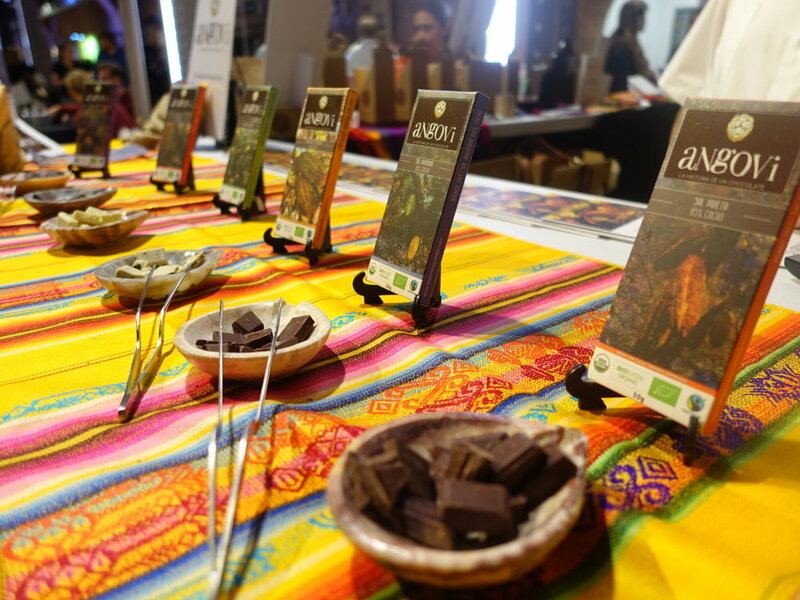 There was plenty of room to walk around, diverse variety of chocolates to sample from all around the world, and vendors that were very passionate about their craft and excited to share information about their products. 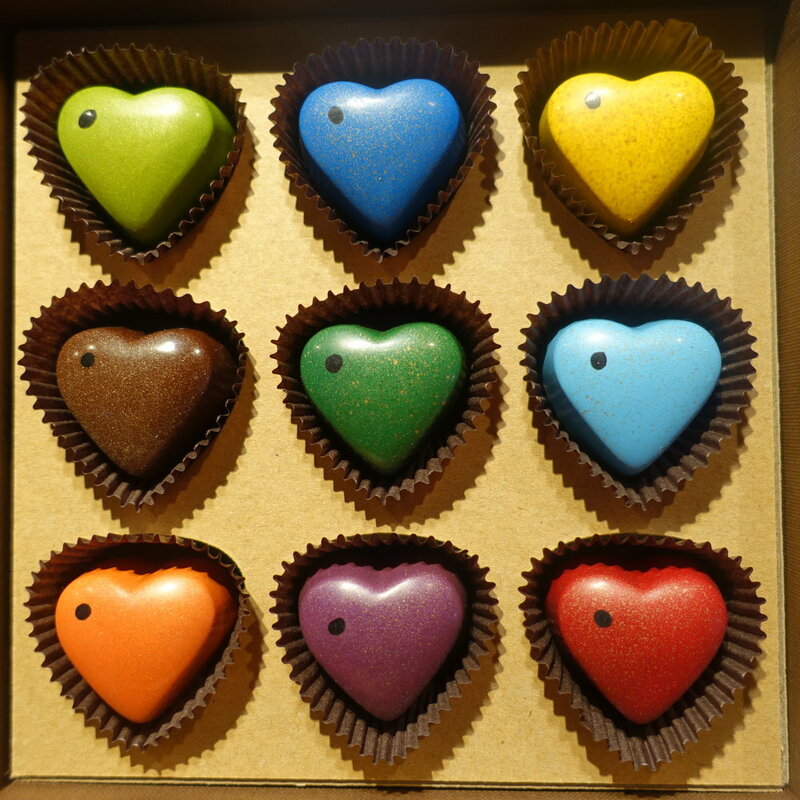 Loved everything about these chocolates! 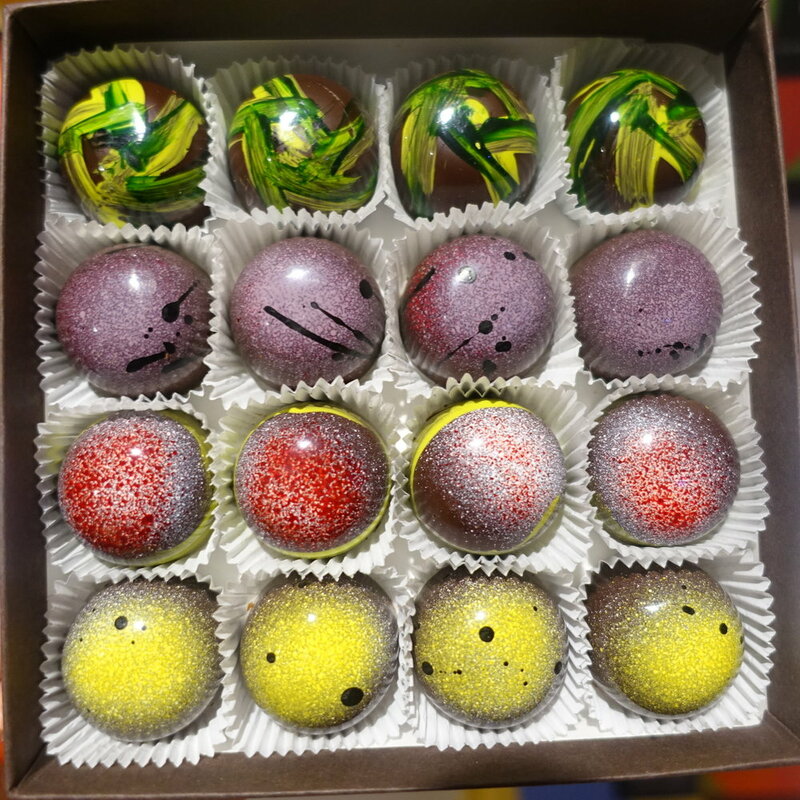 From the beautiful design, taste, creativity, quality of ingredients, back story, to the passionate representative (Amber) who was ecstatic to introduce me to the treats. 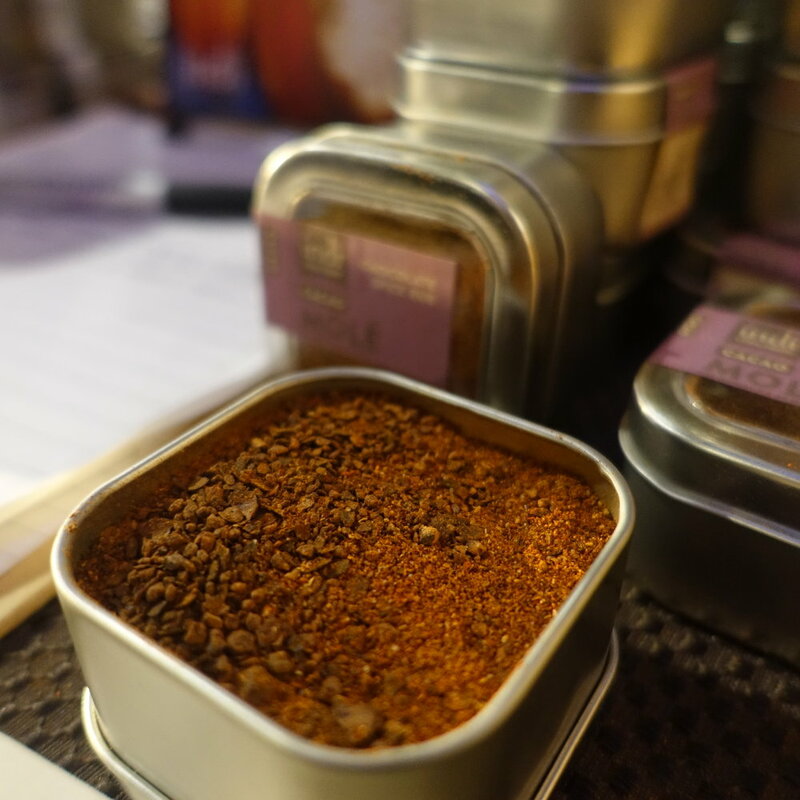 They work with local and very small vendors to source all their ingredients. Amber literally said, "When we need ginger we just call Ellen in Hawaii." Insert heart emoji. This company was started by two guys that have been best friends since middle school. So enthusiastic and personable and just love chocolate! This show was their debut in the United States and they could not have been more psyched. 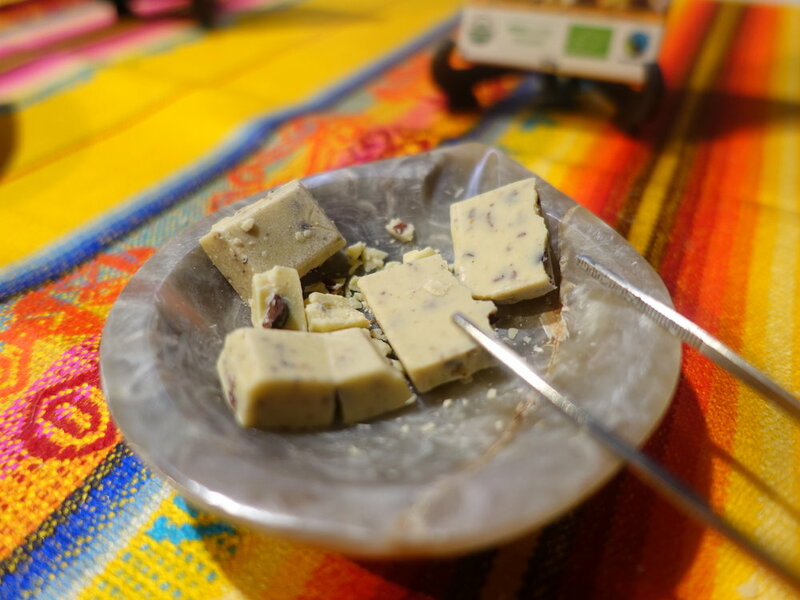 I loved their white chocolate because it had coco nibs in it which perfectly balanced the sweetness of the white chocolate and added a little crunch. Lauren and her mom basically took the inside of a truffle and put it in a shot glass for all to enjoy. GENIUS! Truly unusual flavors that I've never seen in the chocolate world before. They had a green tea and crispy rice bar that was outta this world! The porcini and thyme was also very intriguing. I say intriguing because my brain just couldn't process the veggies + chocolate combo. Gotham makes chocolate bars names after characteristics of New Yorkers; intense, independent, wild, elegant, and everything in between. 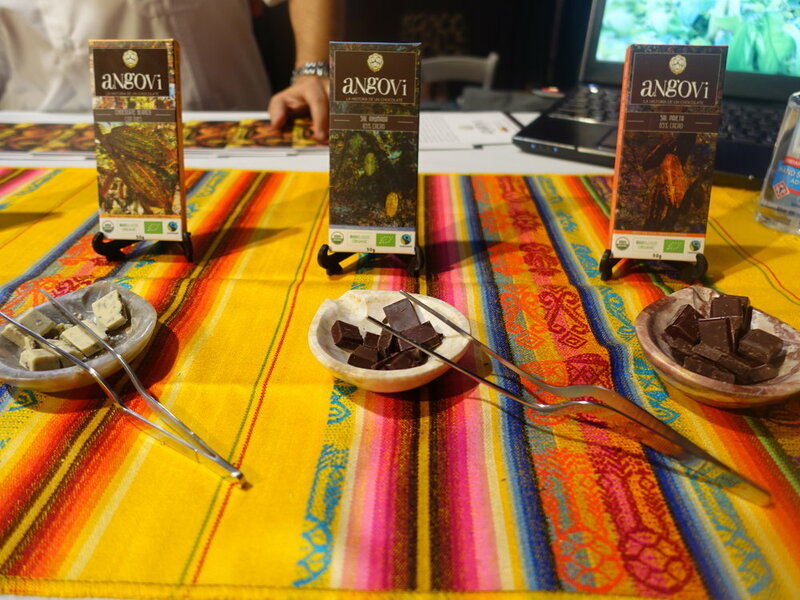 These chocolates come from all over South America. 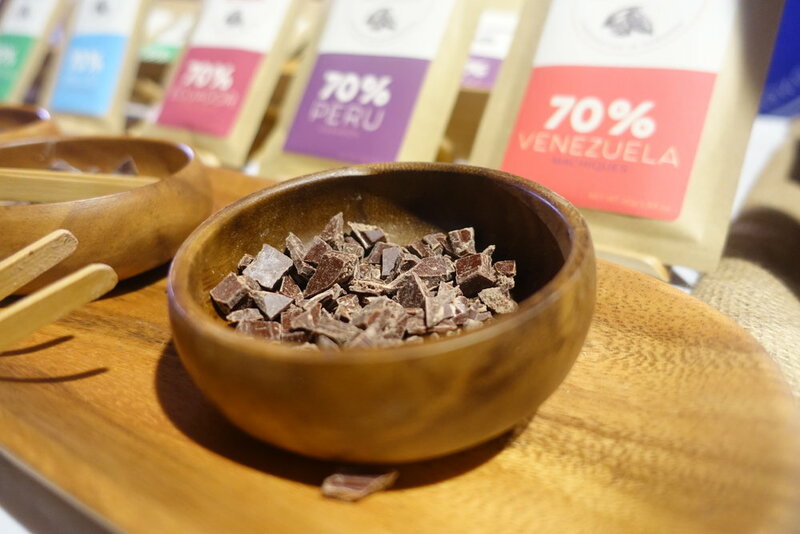 Each bar is a combination of beans specially blended by the owner for a unique flavor inspired by that region. 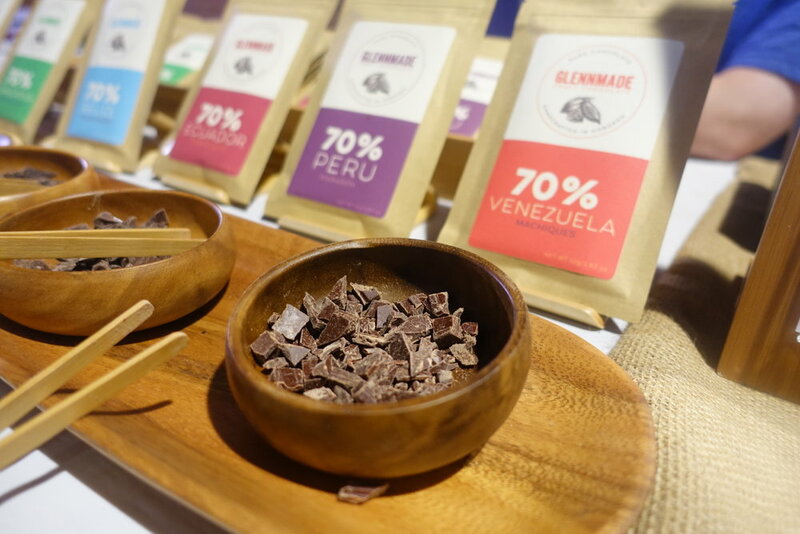 Glennmade is based out of Hoboken, NJ so if you are in the Northeast check them out! 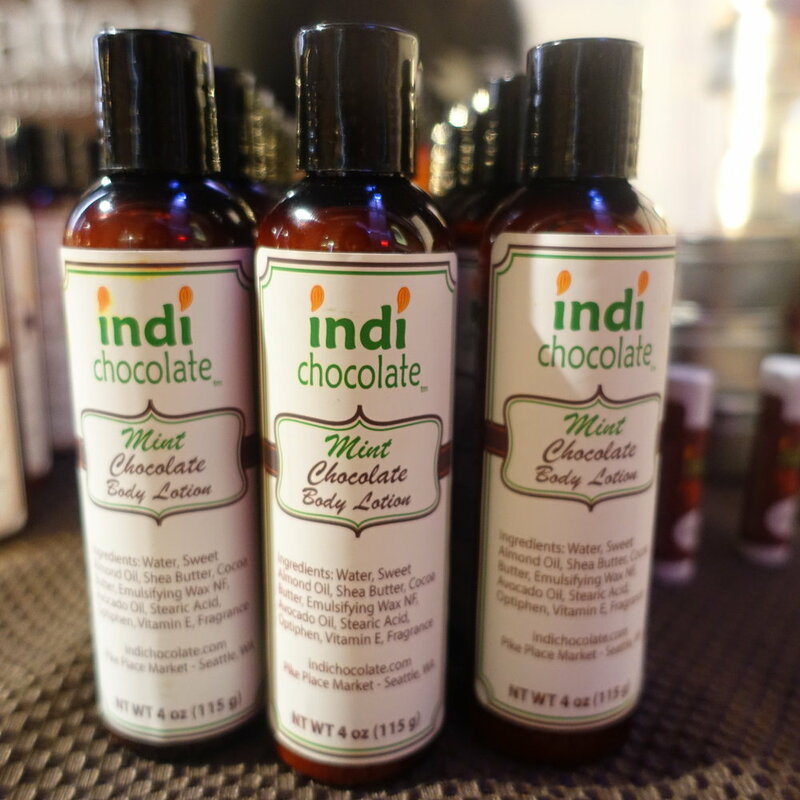 Chocolate lotion, chocolate mole, and everything in-between. It took everything in me not to lick my hand after I put that lotion on.